Over the past five decades (from year 1961 until present), Professor Hossein Lotfabadi has beautified his life with the work of education and psychology. The fundamental theory produced by Professor Hossein Lotfabadi in psychology and educational science and research is called "Scientific & Eternal Wisdom" and is the underlying philosophy of all his standpoints. He believes in, and has presented in his writings, the idea that by relying upon wisdom (or right thinking) we can integrate objective science and humanitarian existence. By doing this, we would have emancipatory and bright horizons in front of us. It is according to this "Scientific & Eternal Wisdom" which he established the theory of "Persian Life Therapy". You may read this basic idea and its applications in psychology and education in the full-text articles presented in this web-site. 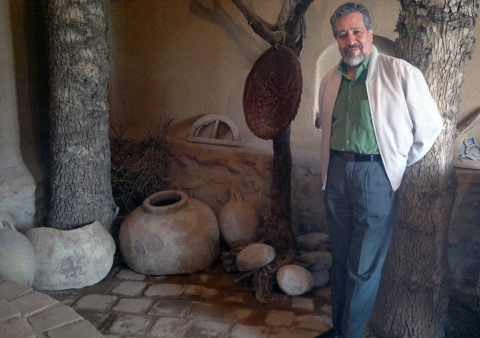 Dr. Lotfabadi is a son to the city of Neyshabour and great Khorasan - a remaining state of Ancient Iran. He was born to a knowledge praising, garden-owning, farming family. He entered Tehran University, after accomplishing several works: 1. his studentship in the experimental sciences diploma field in Kamaal-ol-molk high-school, 2. his Knowledge-army teaching in Mohit-Aabaad village in Neyshabour, and 3. his primary-school teaching in the village of Abbaas-Aabad (the endowed property of the great Dr. Mohammad Mossadegh's mother to the Najmieh General Hospital in Tehran) in the City of Rey. It was at the Tehran University where he received his Bachelor degree in Psychology and subsequently his Master degree in Educational Psychology. He then went to Sweden in 1974 to pursue his Doctorate education and stayed in that country for ten years. After gaining his Ph.D. in Educational Psychology (Educational Assessment and Evaluation), he worked for five years in Linköping University and then at Kalmar Teacher Training University as an Assistant Professor of Educational Psychology. With the re-opening of universities in Iran and during the exhausting years of the imposed war, Dr. Lotfabadi returned to Iran due to his old and faithful love for the country and began his tenure with Ferdowsi University of Mashad. During this time, he was also an invited and guest professor in The Ontario Institute for Studies in Education at the University of Toronto (Canada) for four years. 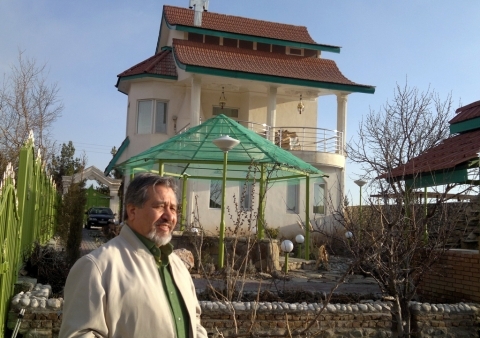 Dr. Lotfabadi’s work was transferred to Shahid-Beheshti University in Tehran (which was previously called “National University of Iran”) in 2001 and began his research teaching and research as Professor of Educational Psychology. Today he is a professor of the same university and continues his collaborations with some Canadian universities. Besides teaching courses in Psychology and research in this field, he is working part-time in his private Clinic of Psychology in Tehran (No. 10, First Golestan Avenue, Velenjak, Tel: 021-22409520). He devotes the rest of his time to preparing media programs both in “Scientific & Eternal Wisdom” and the theory of "Persian Life Therapy". You can view a brief explanation of his scientific and research activities and his viewpoints and thoughts in this website.